AquaE is able to address complex environmental and social issues related to the development of hydropower and water resources projects. We promote sustainable designs that bring long-term economic benefits to our clients while serving local communities and preserving environment for present and future generations. Our impact assessment services recognize the importance of an early integration of environmental, social, technical and commercial requirements for the long-term success and sustainability of the project. The issues are approached in an integrated and flexible manner and the projects benefit from timely permitting and licensing. We provide assistance in establishing management, monitoring and reporting programs, including the areas of Social Performance, Social Responsibility and External Relations. Our staff also has a proven expertise in institutional analysis and assessment and master planning. 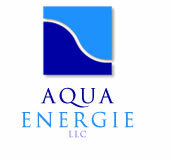 AquaE has proven record in supporting sustainable hydropower projects through carbon credit application process. Our services are conducted to strict international and ethical standards, by highly qualified and certified personnel.